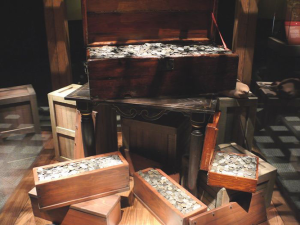 Many young boys (and girls) dream about finding hidden treasure. For underwater explorer Barry Clifford, that dream became a reality. While growing up in Massachusetts, Clifford heard legends about the Wydah, a pirate ship which sank off the coast of Cape Cod in the 1700s. He started researching the Wydah in the late 1970s, and in 1984, when they were down to their last dollar, Clifford and his search team hit the jackpot. 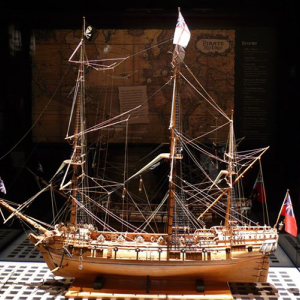 Now, their discovery is on display in the traveling exhibition Real Pirates: The Untold Story of the Whydah from Slave Ship to Pirate Ship. The exhibition features 200 authentic artifacts recovered from the wreck site, including jewelry, weapons and gold coins. 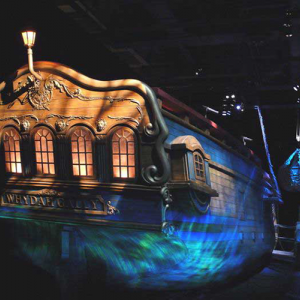 Visitors can also come face-to-face with the Wydah’s bell and walk through a full-size replica of the ship’s stern. For a sneak peek at the exhibit and our interview with Clifford, click on the video below!